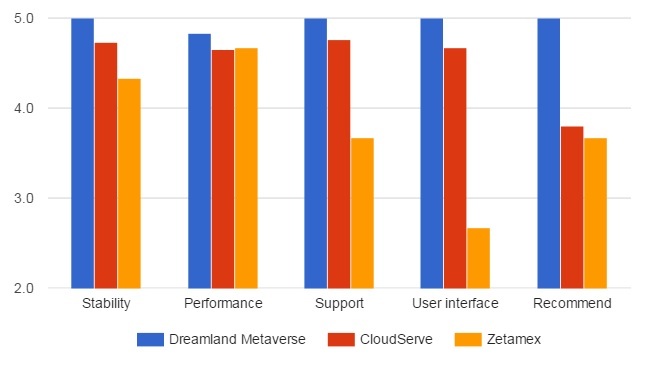 Dreamland Metaverse outscored the two other major providers in every category in this year’s OpenSim hosting providers survey, while CloudServe, the new kid on the block, scored a close second. Zetamex scored last in four out of five categories. Zetamex also had an ownership change this past year, and had long stretches of time when it was not accepting new customers. DigitalOcean, KalasiddhiGrid, Oliveira Virtual Lands, SirinHGpole, and Your2live got only one response each, while DS40 and DigiWorldz got two responses. 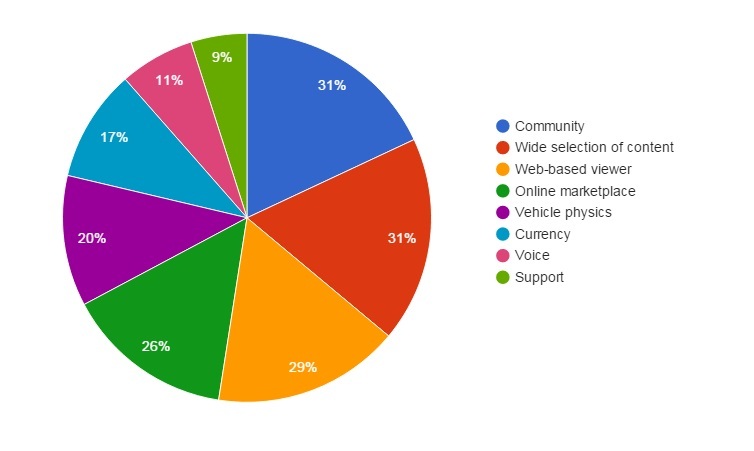 Community and content were most wished-for by OpenSim hosting customers. In addition, 29 percent of respondents said they wanted to see a web-based viewer, and 26 percent said they wanted an online marketplace. 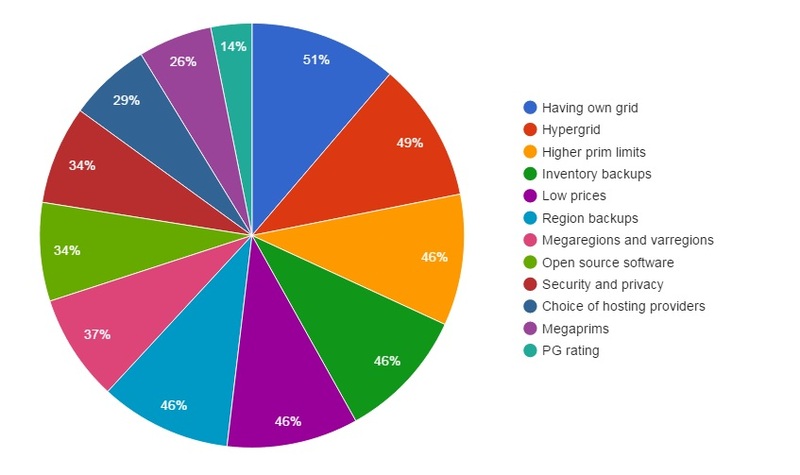 The features most appreciated by OpenSim hosting customers were the ability to have their own grid, which was a plus for 51 percent of respondents, followed by the hypergrid at 29 percent. 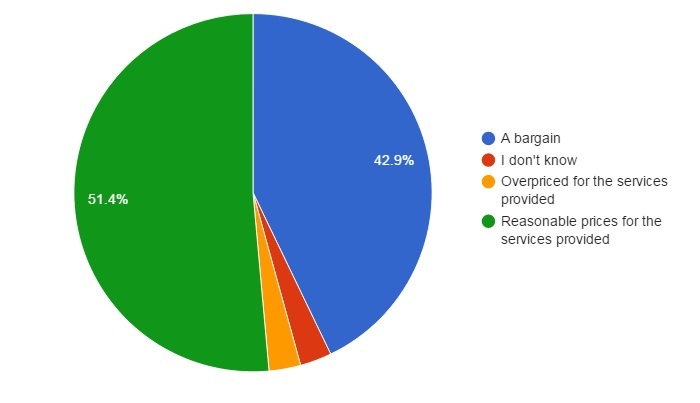 There was a four-way tie for third place, with 46 percent of respondents saying they appreciated higher prim limits, region and inventory backups, and low prices. 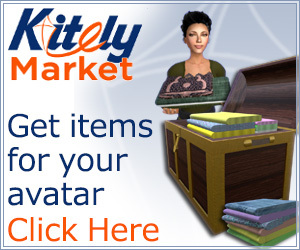 Finally, respondents were overwhelmingly positive about OpenSim pricing. Only one respondent said that OpenSim hosting was overpriced. Slightly more than half said the prices were reasonable for the services provided, and 43 percent called it a bargain.